Last night, I attended an excellent band concert at Kamiakin Junior High School in Kirkland, where one of my 6th grade students plays trumpet in the Intermediate Band. What fun! First came the Beginning Band (80 students), then the Intermediate Band (~50), then the Symphonic Band, and finally the 8th Grade Band–four bands! They were all well-rehearsed and well-behaved. And they played well! All totaled, there must have been about 35-40 young trumpeters on stage. The stands were filled with about 300-400 parents, siblings, grandparents and other relatives, friends, and other interested parties like me. Soloists, duets, and trios also played and were given medals for doing so. 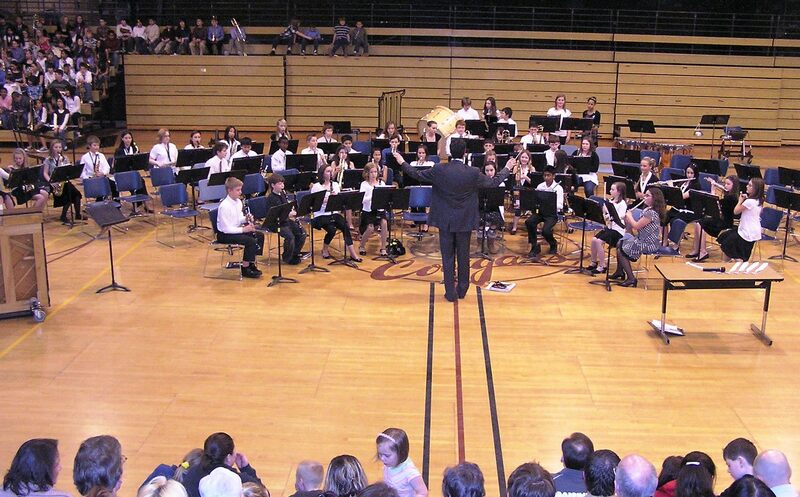 It’s one of the strongest band programs I have seen and is a great credit to the enthusiastic, energetic, pleasant, and obviously competent Band Director. Congratulations!